I'm currently on tour with Kamelot and today we are in Antwerpen. Yesterday we had a great gig in Amsterdam and tomorrow we're in Paris. Life's good! We're celebrating Easter with our metal fans and some bunnies, which hid the eggs too well. After a long search, I finally found my easter egg. I also met the Easter Bunny. This cute bunny was wandering around the back yard of the venue. He thought he could hide those Ferrero Roche's for me, but I found them anyway. Simone, you should come to Turkey Izmir again, for this summer :) Happy Easter. 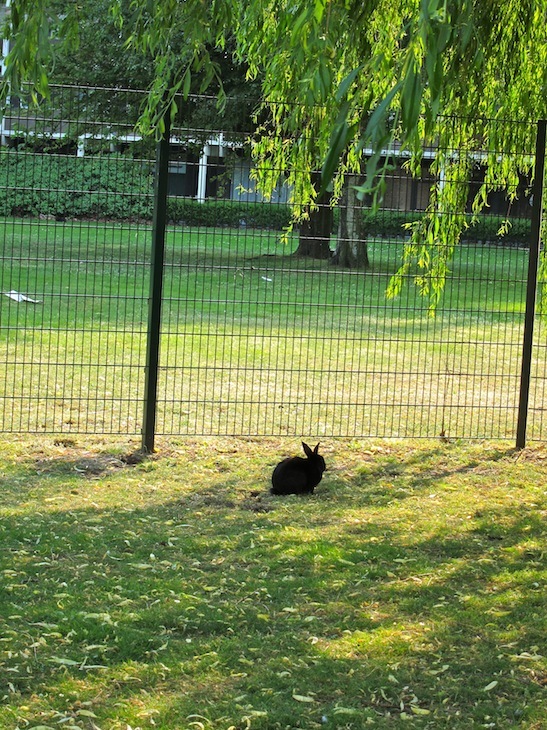 And black bunnies...kind of nice to see them. Ohhhh!!! It's like my bunny!!!!!! i love them!!!! and here in my house, there's a big egg for you!! Happy Easter :3 that bunny is so cute!! Nice post!But..Why you hand is so big in this pic?rsrsr! Anyway, happy Easter and enjoy your holidays ! Haha awww, the bunny looks cute. Ferrero Rocher Rules! I love those chocolates =). Regards and good luck on your tour with Kamelot. Well, do you remember the boy who always give to you a box of Ferrero Rocher when you come to São Paulo? So, it's me ^^. This Ferrero in your hands are one of those I gave to you few weeks ago? Happy Easter and many Ferreros for you. Yesterday's show was super! Enjoy the tour! Nice touring days for you, too :) See you in Berlin! The headline is really cool! I tought that there`s a pic showing Simone totaly dressed in black whit her beautiful white skin! I think this would be the most beautiful easter bunny!! That buny looks exactly like my pet one, Lily. I love black rabbits, they are the cutest! My daughter is nine years learning to play the flute. She asked me to ask you what you would recommend to play it in a presentation. She adores you and would like to see him playing. 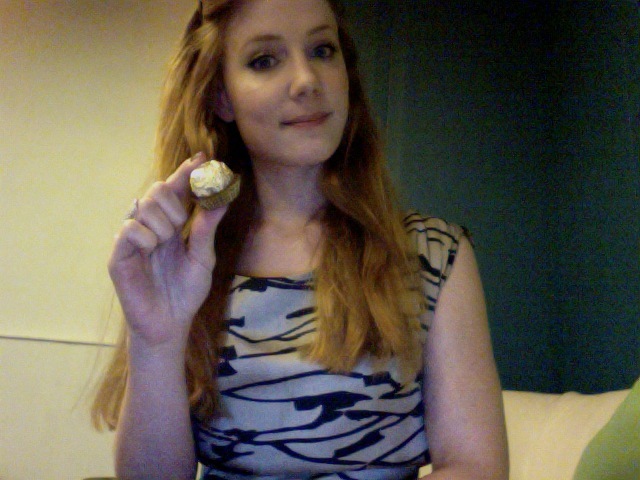 Ferrero Roches are so yummy, and that bunny is adorable! :-D There's a pet shop near me that sells bunnies, and I go in every day just to hold them. They make bad days better.